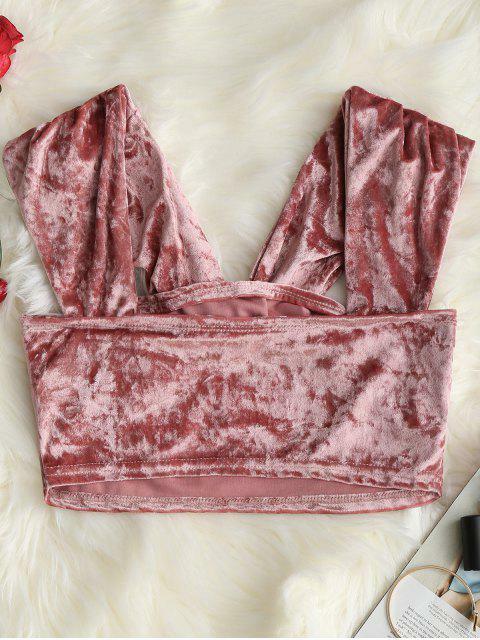 [60% OFF] 2019 Cropped Twist Velvet Top In PINK | ZAFUL .. 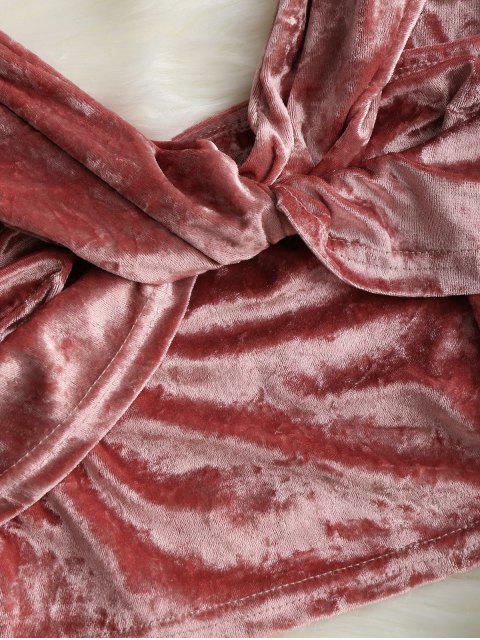 Created from our incredible velvet bandage fabric that sculpts your silhouette. 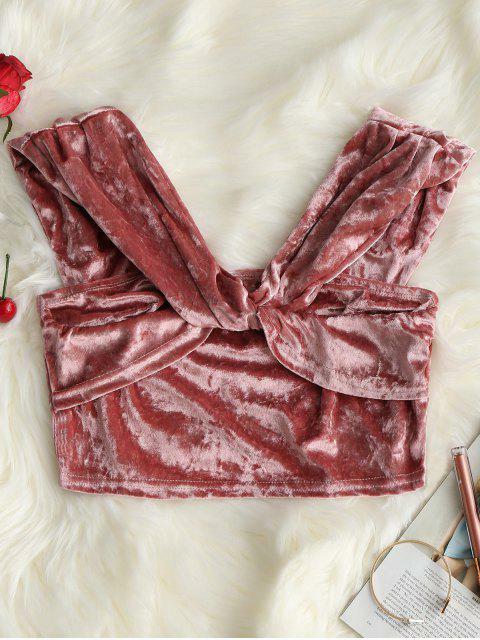 This velvet tank with a twist front adding a femme cut cut front that highlights your bust and a frilled seam at straps in a super cropped length. It is perfect to style it with a high waisted shorts or skirt for night out.